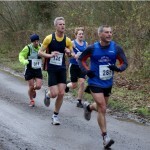 Inaugural AVR Wiltshire Half Marathon a Great Success! 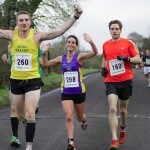 Sunday saw the biggest race held in the West Wiltshire Area for many years with local run club Avon Valley Runners raising funds for Wiltshire Air Ambulance by hosting the AVR Wiltshire Half marathon. 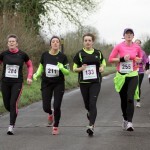 The event sold out 7 weeks before the race was run and 235 competitors took part in near perfect running conditions, cloudy with a temperature of 6 degrees Celsius. The wind was a little strong at about 15-20 mph. 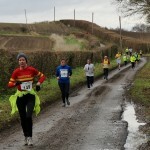 The event HQ at Edington Station yard was awesome with the runners village a mere few yards from the car park. Volunteers were on hand raising money for Dorothy House selling refreshments. 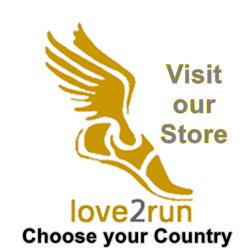 The race got under way at 11am with no delays and early on three men set the pace, by the 10 km point only 2 seconds separated all three of them. 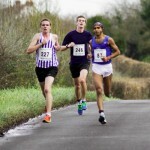 When the 13.1 miles was complete Anupam Das had from University of Bath had opened up a 2 min 8 secs gap to take the win. Male Team Prize – Avon Valley Runners, Richard Morgetroyd (1:27:02), Adam Robbins (1:31:13), Chris Atkinson (1:32:49), Tim Dodwell (1:32:58). 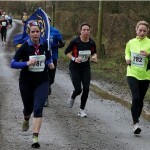 Female Team Prize – Avon Valley Runners, Jo Mumford (1:33:24), Fleur Ross-Harris (1:33:39), Rachel Bown (1:51:11). 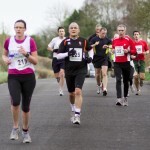 Click here for more details of the 2012 AVR Wiltshire Half Marathon.